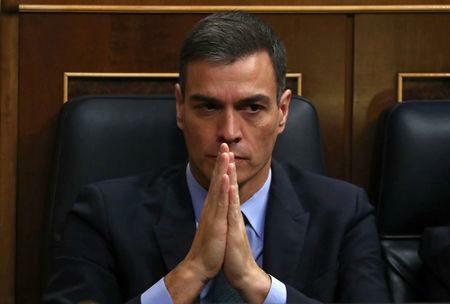 The government and Socialist party sources said the snap election date had not been set, although April 14 was most likely, followed by April 28, because Prime Minister Pedro Sanchez wants a ballot as soon as possible to mobilize left-leaning voters against the threat of the right coming to power. The Socialists are ahead in opinion polls which show them on around 30 percent of voting intentions, but the two main right-of-center parties together poll at more than 30 percent. In Spain's most populous region of Andalusia they unseated the Socialists last year with the help of the far-right party Vox.